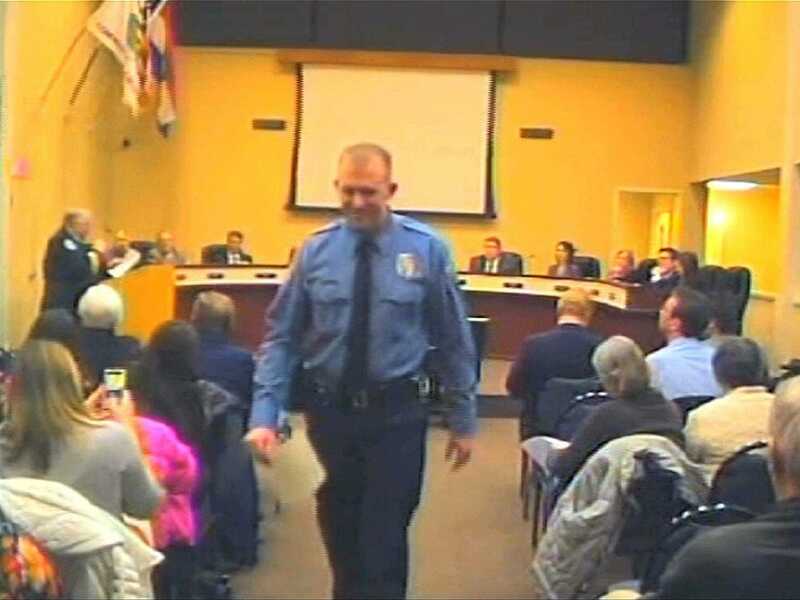 AP Photo/City of Ferguson, FileIn this Feb. 11, 2014 file image from video provided by the City of Ferguson, Mo., officer Darren Wilson attends a city council meeting in Ferguson. Police identified Wilson, 28, as the police officer who shot Michael Brown on Aug. 9, 2014 in the St. Louis suburb. The incident sparked racial unrest and numerous protests, including some that turned violent. Darren Wilson, the cop who shot unarmed black teenager Michael Brown in Missouri in August, is unlikely to face civil rights charges for killing the teen, The Washington Post reports. The Justice Department reportedly doesn’t have a strong enough case to charge Wilson and prove beyond a reasonable doubt that he intended to violate Brown’s constitutional rights, sources told the Post. Wilson reportedly told investigators that there was an altercation in his police vehicle before he shot Brown. Wilson said Brown was reaching for Wilson’s gun. But other witnesses have told a different story, saying that Brown was shot when he had his hands up in the air in a sign of surrender. Wilson, who is white, shot Brown after stopping him and a friend for walking in the street. Protests broke out in Ferguson, a St. Louis suburb, after Brown was shot. Witness accounts saying that Brown had his hands up when Wilson shot him ignited accusations of racism.